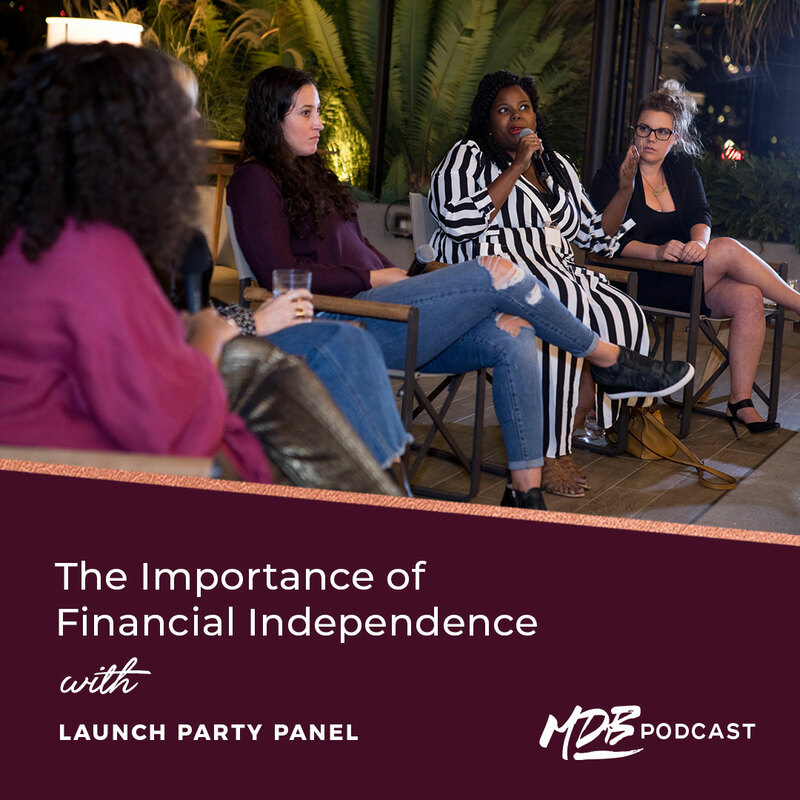 In this episode of the Million Dollar Badass Podcast, host Rachel Rodgers welcomes a panel of guests to discuss the importance of financial independence among women. Liz Dennery Sanders, Sylvie McCracken, Shanee Howard and Emma Pattee round out this panel of stellar guests as they bring a wide array of experience between the four of them. Ranging from entrepreneurs and authors to brand developers and screenwriters, these women all have one thing in common; they know how to get stuff done. The panel discusses the societal stigma of financial success and why money has become such a taboo topic. They each touch on how they view money and what value they place on their money as it relates to time. Rachel proposes her theory centered on money and feminism and prompts the panel to divulge mindset changes they have undergone in order to achieve success. Rachel’s father once told her, “Don’t ever depend on no man,” and these women surely embody that sentiment.